AUSTIN, Texas – November 16, 2012 – Lynxs Group LLC is excited to share that our Austin Air Cargo Facility has been sharing in the Formula 1 excitement. 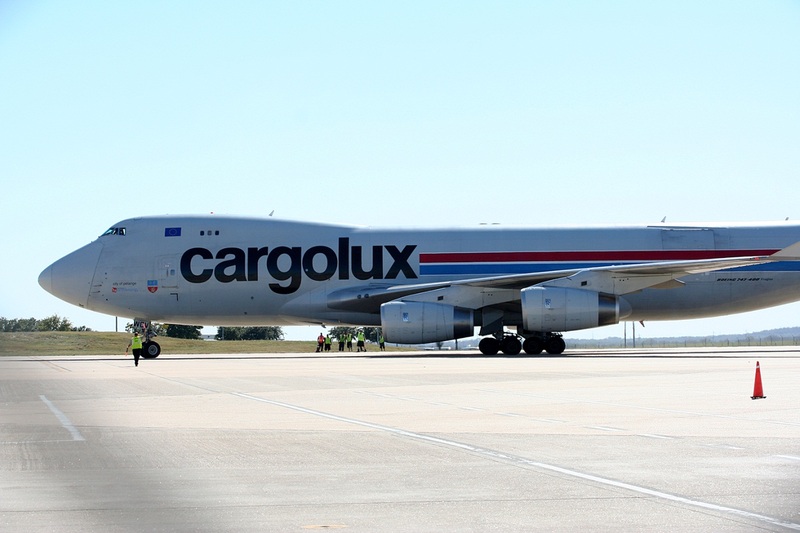 As Austin, TX welcomes, 2012 Formula 1 United States Grand Prix, our facility has welcomed cargolux to use our ramp space for unloading cargo in preparation for the races which start today. Please enjoy the photo we have to share with you of the special aircraft involved in transporting the Formula 1 cars and equipment to each race venue. Lynxs Group would like to wish all the visitors coming to Austin, TX and those involved in Formula 1, an excellent trip to Austin, TX. Please see http://www.lynxs.com for more information. Corporate inquiries can be directed to Jenny Ortiz at +1 (512) 539-2207 or at jenny.ortiz@lynxs.com.